My name is Ania Kawczyńska and I am a secondary Art & Design teacher and the Year 9 Form Tutor. I graduated from Academy of Fine Arts in Wrocław and I have a Master’s Degree in Sculpture. To be well-prepared to work with children and youth I expanded my knowledge by taking part in many Pedagogical Trainings and workshops for Art Teachers. 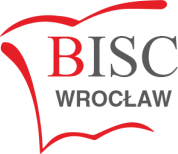 Before I started to work at BISC Wrocław I was working in some Polish schools as Art Teacher. One of the most interesting experiences was co-operating with The Middle Art School where I was the teacher of Sculpture. I also gained experience by working with international students, teaching IB Art before I started my work at BISC. I really enjoy working in the international community and teaching my students to be open- minded and creative. I believe that the most important lesson they can gain attending my classes is the one that art is fun and everybody can become successful in this area when they are willing to do his/her best. In my free time I like not only to do art. I enjoy riding my bike, swimming and cooking.